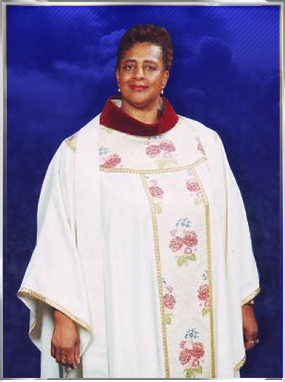 As an educator Pastor Carol Rawls Davis had the opportunity to touch children’s lives in such an extraordinary way by working in the Atlanta and DeKalb County Public school systems. In 1984 Carol was led by God to leave the public school system and educate the whole child, physically, mentally and spiritually. Christian education was the means of accomplishing this desire. After two years of working at Green Pastures Christian Academy, Carol was driven to open her own Christian school. In 1988, Miracle Early Learning Center became a reality. God commanded Carol to “rescue His children from hell’s fire.” As an obedient servant, she started this school in the basement of her home and later merged her school with Beulah Baptist Christian Academy, and also established the Light of the Word Christian Academy. Even though Carol enjoyed working for these ministries, she still had a strong desire to fulfill her God given vision. In 1994 Miracle Early Learning Center reopened its doors and the Excelsior School was started. In 1995 the Excelsior School was renamed Anointed Word Christian Schools International. Despite the recent passing of Pastor Davis both schools continue to operate in excellence under the leadership of her daughter Elder Chrislyn M. Davis-Haynes who serves as school administrator.